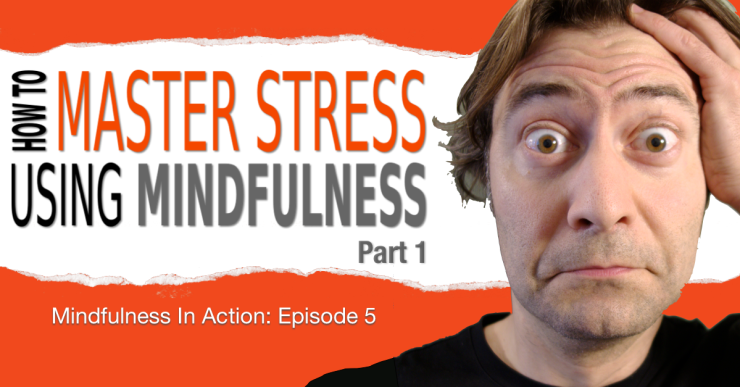 In this series of 3 videos, we’re going to tackle the big one: Stress! 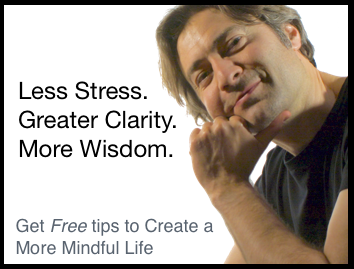 When people join my Free 7 Day Meditation Kickstart program on Facebook, the overwhelming majority of them do so because they want a better way to deal with the stress in their lives. Well, that’s what this video is all about! In this 3 part series I’m going to share with you a simple technique I call Stress Surfing, which is a way of using mindfulness to completely transform your relationship with stress. It’s a way of taking the stress out of stress! This is part 3 of a three part series about how I used mindfulness to help me quit eating sugar a few months ago, and how you can do the same. If you missed the earlier posts, here’s Part 1 and Part 2. Here, in part 3, I help you put it all together and show you a little secret that can really help you to non-reactively observe even the most intense sensations, such as those of a uber sugar craving =-). I also show you an easy way to tell if you’re actually making your cravings worse by subtly resisting them, and what to do about that. 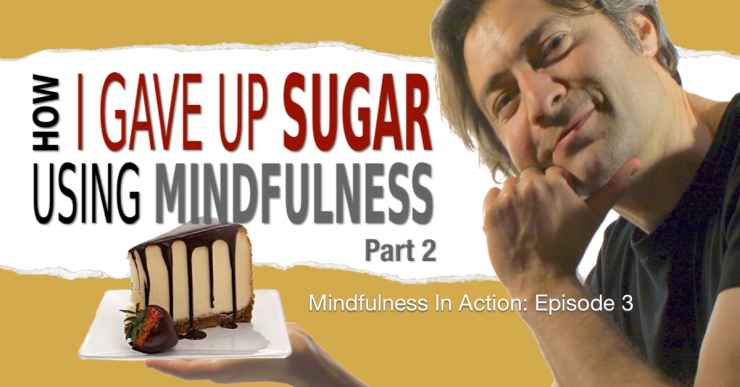 This is part 2 of a three part series on how I used mindfulness to stop eating sugar. If you’re looking for Part 1, you can find it here. So, to carry on with the story, over 4 months ago, I completely quit sugar. No more chocolate, no more cookies, no more yummy desserts. Am I nuts? Aside from the health reasons for wanting to do something like this, I was really curious how my mind and body would react, and how I could apply mindfulness to handle the inevitable sugar cravings and withdrawal. In the video below, I continue to share with you what I’ve learned in this experiment and how you, too, can stick to a sugar free diet using the power of mindfulness, just like I have.